Ningbo Huiyuan Precision Machinery Co.,Ltd. 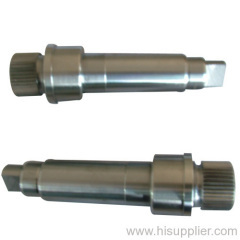 We are professional manufacturer and exporter for different kinds of metal parts. in precision machining with kinds of hardware ,covering in high precision machining ,stamping, die-casting, molding ,and so on with different materials, such as brass, aluminium, steel, stainless steel, zinc. Our strong R&D and QC department can control the products to meet your strict requirment. No matter you have a drawing or a sample, we can give you the quotation within 24 hours. Machining, Casting, Die casting, Stamping, etc. Tapping drilling machine, projecting apparatus, roughness tester, hardness tester, concentricity tester etc. We have many years of experience in the production of OEM, and we have developed products known for quality and service. Look forward to cooperating with you!